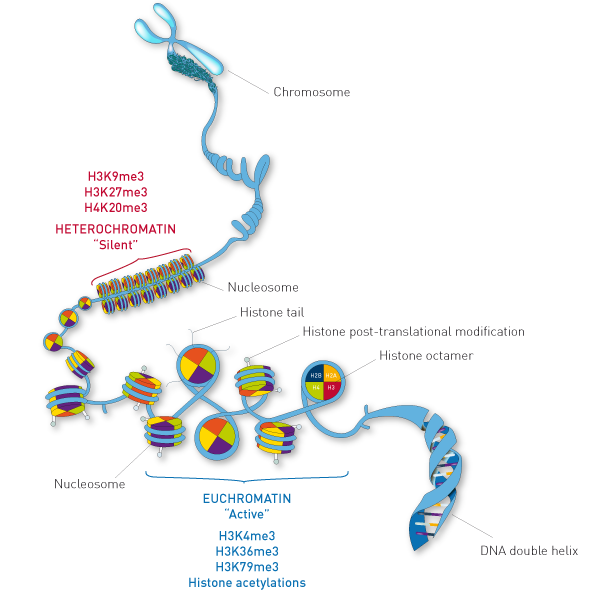 Chromatin immunoprecipitation (ChIP) is a method used to determine the location of genome binding sites for a specific protein of interest, giving invaluable insights into the regulation of gene expression. ChIP involved the selective enrichment of a chromatin fraction containing a specific antigen. Antibodies that recognize a specific protein or protein modification are used to determine the relative abundance of the antigen at specific loci. ChIP-seq and ChIP-qPCR are techniques that allow the identification of protein-DNA binding sites. Add Auto iDeal ChIP-qPCR Kit to my shopping cart. Add ChIP Cross-link Gold to my shopping cart. Add iDeal ChIP-qPCR kit to my shopping cart. Add IPure kit v2 to my shopping cart.